Mr. Marshall’s engagement and inaccurate attestment of outside business activity without providing prior written notice to his firm. Mr. Marshall’s use of a personal email account to communicate with customers which in turn allowed him to avoid firm supervision. Mr. Marshall distributed to investors sales literature which contained misleading, exaggerated, and inadequate risk disclosures. 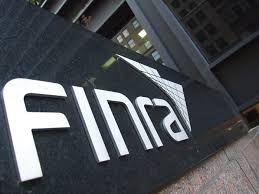 The FINRA case number for this matter is #2012033291204 and this decision is posted on http://disciplinaryactions.finra.org/ for public reference.